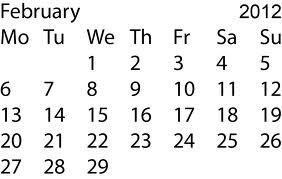 Has anyone other than me ever wondered why February only has 28 (or in cases such as this year 29) when there are some months that have 31 days and others with 30? I mean – why not just even out the 31 day months with the 30 day months and give February a few extra days? I’m sure there is a perfectly logical reason as to why this isn’t done. But am I going to research it? If I have thought that much into it to ask you and to bring it up, why not just check it out? It would probably only take a few minutes to get an answer on the good ol’ google machine! Here’s my answer – because it’s so much more fun shopping! And when I’m shopping I am finding out about the companies that I tell you about and learning great things about them! You know that I always try to have some sort of tie in with my little stories and the companies that I feature – so why should tonight be any different? I really, really like the accessories that 31 Bits sells. They are super cute and could go with so many outfits! If only I were independently wealthy and could buy all of the things that I like from everything I tell you about! My closet would look like something the Kardashians might have! I’m sure there are at least a few things that you might like too!